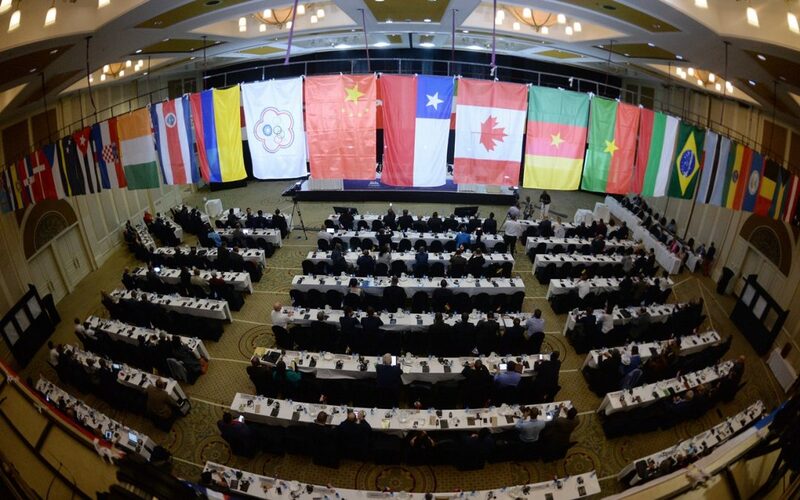 The WBSC Extra Ordinary Congress unanimously approved the new Statutes and the baseball and softball Division Codes.“It’s a great day” said President Riccardo Fraccari “The day we really become a united Federation, proud world governing body of a global sport. Starting Monday, we all need to head to the same direction. And we want to interact with you, member countries. We want you to live your Federation day by day”. The result was sealed by 162 votes, expressed by 125 Federations, representing 94 countries. The Congress also approved new memberships of Tanzania (baseball and softball), Botswana baseball, Congo (baseball and softball). Ghana and Mongolia softball merged with the baseball Federation and Nepal baseball merged with the softball Federation. St Marteen (baseball and softball) became a provisional member. The Congress had been opened by a speech by Brigadier George Tihalerwa, Senior Private Secretary to the President of the Republic of Botswana Ian Khama, introduced by Tirelo Mukokomani, President of Botswana Softball Association. “This Congress comes at the right time, since this year has been of unprecedented success in sport for Botswana” said Tihalerva “We are a small country, but softball is very important here. I could say that softball is Botswana is like soccer in Brasil. And the talent is there, since our National Team finished eigth in the WBSC Men’s Softball World Cup that we hosted in July”. Before the voting, Vice President Willi Kaltschmitt read a letter addressed to President Fraccari by IOC President Thomas Bach: “We are delighted to have your sport and your athletes back on the Olympic stage (…) I see the commitment of President Fraccari to develop and promote the sport around the world (…) I look forward to learn more about the Statutes and amendments that will be discussed during the upcoming days”. WBSC Associate Members also attended the Congress: CPBL (Chinese Professional Baseball League), KBO (Korea Baseball Organization), NPB (Nippon Professional Baseball), Pony League and USSSA (United States Specialty Sports Association).